Could Florida be the next Fukushima? Americans have been so busy fearing a nuclear threat from North Korea or Iran that we haven't been looking at the threat right here at home that we created ourselves. When Hurricane Irma—the strongest Atlantic hurricane ever recorded—barreled toward a nuclear power plant directly in its path just south of Miami in 2017, that question suddenly became foreground in everyone's mind. There are 5 nuclear power plants in the hurricane vulnerable state of Florida, and all of them were on high alert during Hurricane Irma. 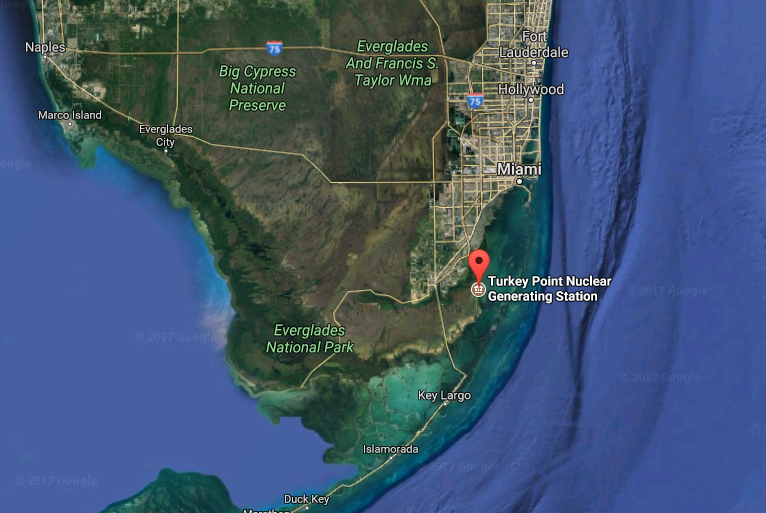 But the most vulnerable was the Turkey Point Nuclear Generating Station in Homestead, Florida just 40 miles south of Miami on the Atlantic coastline. It houses two nuclear reactors, and until the last minutes of impact, stood directly in Irma's path. A close call. But how close do we have to come to the brink of disaster to reconsider our relationship with nuclear technology, and adapt? Isn’t it time to rethink our “Nuclear Renaissance” and to stop saying nuclear energy is green and safe when It isn’t? Isn’t it time to sincerely embrace the race to renewable energy instead of pretend climate change isn't real? Isn’t it time to reevaluate our policy of nuclear deterrence rather than rush into another nuclear arms race? Isn't it time to face the nuclear threat right here at home? Nuclear poses a catastrophic threat to human health and the health of the planet in every way. Why do we continue to deny the risk here at home staring us right in the face? The inconvenient truth people in the U.S. face is this: two nuclear power plants in Florida sit in a hurricane zone directly on the Florida coast on the outskirts of Miami only 20 feet above sea level. Hurricane Irma’s 185 mph winds created storm surges 30 feet high, putting both plants at risk of flooding and loss of electricity—exactly what happened at the Fukushima Daiichi nuclear power plant that caused three critical reactor meltdowns in 2011 that continue to this day, and will continue not for decades, but for centuries, to come. Both Florida plants were shut down as a precaution before Irma hit shore. But 'shutting down' a nuclear power plant is dangerous in itself. Because a nuclear reactor cannot be shut off. Ever. Reactors have to continue to be cooled, and that requires emergency back-up electrical generators that run on diesel. If those backup generators are washed away, as they were in the Fukushima tsunami, the plant loses electricity, nuclear fuel rods cannot be cooled, and a meltdown results. Is nuclear power worth the risk? Hurricane Irma wasn't the only time Floridians, and all Americans, had to face that question. The Turkey Point Nuclear Generating station survived Hurricane Andrew back in 1992, though it sustained $90 million in damages. Andrew caused the plant to lose electricity and run on backup generators for 5 hours, lose communications, suffer damage to its fire protection system, and lose its access road, in addition to having a smokestack crack in half. By the grace of God, a near meltdown was averted in 1992. Another close call came in 2017 with Hurricane Irma. How many more near misses will it take for people to take action and adapt? Will we wait until it actually happens here? I hope not. Prevention means stopping something from happening before it happens. It's a simple concept, but it takes preventive action. Isn't it time we admit it can happen here, and start a long overdue public conversation about decommissioning our riskiest nuclear power plants once and for all, starting with Turkey Point. 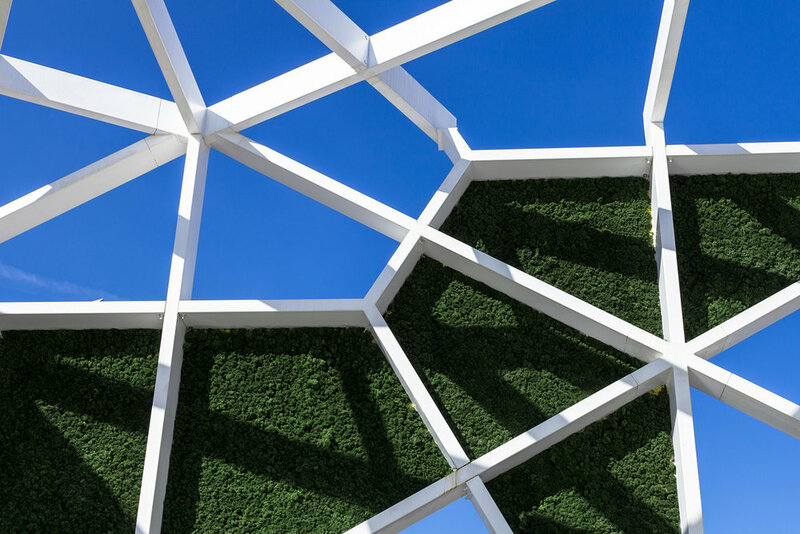 To learn more about how to make adaptive change for better health and wellbeing, check out The Healist's Green Everything list.